To say this weekend’s varsity sports were exciting is an understatement. We won medals. We had home runs galore. Pitchers were on their games. In the first weekend of real spring weather here in Vancouver, our teams had more to cheer about than the added sunshine. UBC has claimed another national title. 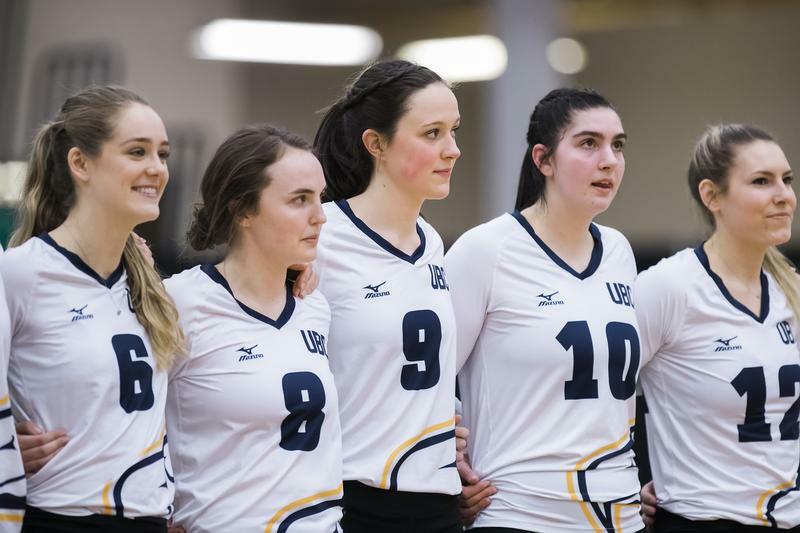 Following the winning ways of UBC swimming, who claimed both national titles in mid-February here at the UBC Aquatic Centre, women’s volleyball won the U Sports championship in Edmonton on Sunday with a 3-2 national final win over the Ryerson Rams. Perhaps the biggest upset of the weekend though was their 3-2 dismantling of the first-ranked Trinity Western Spartans in their opening quarterfinal on Friday — a crazy turn of events considering the T-Birds went into the tournament in the eighth (and final) spot. We’ll let you read our recaps for further details, but needless to say it was an incredibly impressive weekend for a team that was relatively quiet throughout the regular season and had to make adjustments to their roster following the departure of last year’s captain and middle Alessandra Gentile. Star outside hitter Kiera Van Ryk was also named the U Sports women’s volleyball Athlete of the Year the evening prior to the tournament’s start. Out at Softball City in Surrey this weekend, UBC softball split both their Friday and Saturday series against Eastern Oregon University. A highlight across their four games was a home run by Cassa Courtney. Courtney claimed three runs that day along with teammate Emily Chorpita in their 14-5 Friday win. Kaia Gyorfi also had a strong pitching performance in Saturday’s 5-1 opening win. It was Gyorfi’s first collegiate victory, as she threw a complete-game three-hitter. Out on the road, UBC baseball started their weekend on a high with five home runs and all 10 runs scored in the first two innings of their 10-0 opening win. Homers came from the hands of Ty Penner, Jaxon Valcke, Jordan Dray, Austen Butler and Nolan Weger. Oregon’s efforts at a comeback were muted due to the outstanding pitching of UBC’s Niall Windeler, who once again had a stellar game with seven strike outs and only two hits allowed. It was the start to a productive weekend for the Thunderbirds, as they swept Oregon with three more wins: 13-8, 6-4 and 4-3. Of the weekend’s games, Sunday’s final match was perhaps the most exciting for the ’Birds as it saw Valcke hit a two-run home run which came at the top of the ninth to bring UBC past Oregon for the narrow 4-3 win.